Influences: John Hiatt, Jason Isbell, Justin Currie, Elvis Costello, Tom Waits, Leonard Cohen, Jim Groce, Loudon Wainwright III, Neil Young, Steve Earle... should I go on? 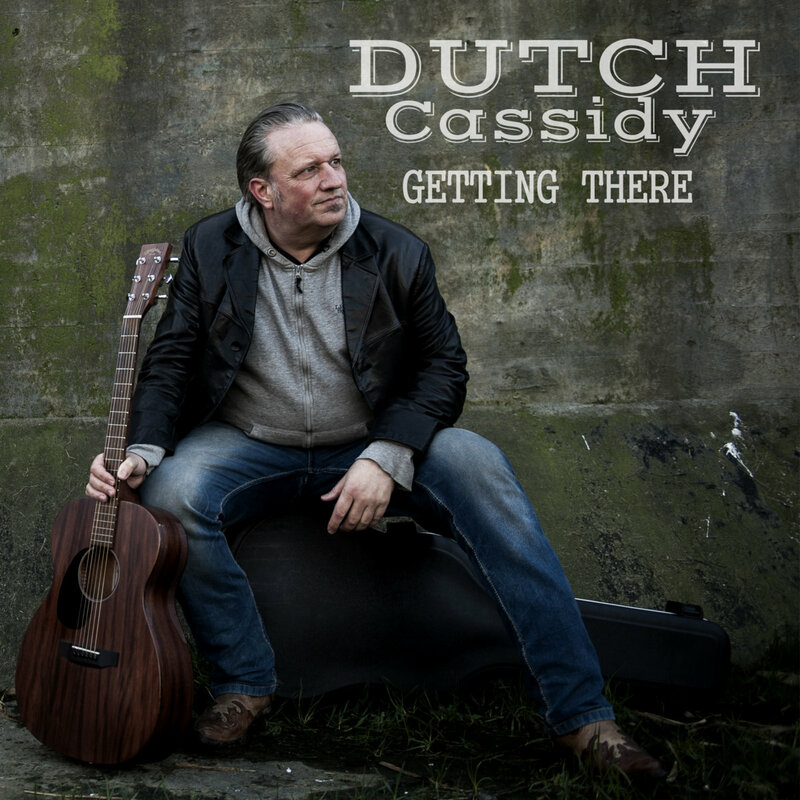 Yes he's Dutch, but he serves up true and raw Americana, as natural as breathing a Nashville breeze. A mix of country, blues, rock'n'roll and folk. As real as it gets. Songs that'll break your heart or drive you to drink. Thanks so much for the nice comments! I'm a new fan of yours as well. Thanks for listening to "Loose Ends". Maybe I will have to try put "Loose Bowels" to music. We'll see what I can do tonight. Yes! It is a funny one! Any you feel you want to do-go for it! Congrats on 14 Dutch. You deserve a beer or two! Unfortunately I couldn't stay in the lakehouse, change of plans. I put up my first song in Dutch language, just letting you know. Thanks for your patience. Wow you've been busy! Not sure if I'll be able to but might try to catch up this weekend. Yes, lijkt me gezellig. Hoe laat gaat ie ook al weer live? Ik moet donderdagochtend werken maar ben de middag/avond vrij. Huh, was je er ook? To be clear-- I thought your playing on Cheques was fine, but that's just what the song is about! Thanks for listening to my old time blues piano song . Appreciate it ! I think turning upside down was just the perfect thing to do! Awesome! Thanks so much for Upside Down in Love! It is wonderful. thanks for your version of bad apples-- i have been superbusy this week at work, with valentine's day and extra functions, so i have barely been on all week. sorry i'm just now getting back to you about it! Thanks for your comment in my soundbard - Yeah FAWM is magic! 😀 I never thought I would write that much songs as I had quite a down before .... 😀 I am very happy that I am here with all of you guys. Thanks for your thoughts on the song about my dad. You were bang on with your description of him. And you're right, he did have some stories to tell. Inspiration for a song or two perhaps? Thanks for your kind words about my waltz and taking the time to write about it. I loved your description of the memories it evoked. I did not know about the Swedish waltz lengthened 3rd best, so thanks for sharing. I am going to have to listen for it. Thanks so much for the impromptu pep talk! I was so tired last night all the "getting old" thoughts were really driving everything. I actually really liked the song this morning, for the most part, but even better, thanks to your comment and some other things people said to me, I woke up this morning about as optimistic on a birthday as I have been for a good five years. I really can't stress enough how meaningful your words were. Additionally, I had NO IDEA I left the flub up in the beginning of the video. I thought I was cropping it to the final cut, but I missed -- back to being tired. Looking back, though, seeing as how it really was a kind of diary entry, it works really well, because it shows the process that went into it. Again, here's my never-possible-to-be-sufficient thanks, as usual. You're a seriously valuable asset to the FAWM community. Thanks Dutch! I've returned the YT sub, and I'll be back for more of yours later. Right now I'm trying to pace myself with listening to songs with the Randomizer, but you've given me a lot of great encouragement and feedback, and I will certainly return the favor. Yep I was a little late this year due to work stuff. Hopefully I'll be able to make time. I actually haven't done much music since last fawm so may take me like 5 songs to warm up. I don't think metaphor was the right word. I just mean I like the idea of singing about being "the breeze". Though I suppose the way you've written it is more literal than not. > vocals. To get more energy from the words... whatchu reckon? Do you mean trasposing it up in the middle of the song (maybe before that last verse, signaling the change in mood?) Or for the whole song? Hey Dutch, thanks for commenting on When I Dream of You. Fun times at FAWM. how goes it? glad to see you off to such a start this year. of course you can have dibs on bad apples. go for it. Thanks for your kind words on my tune - looking forward to hearing you! I'm not familiar with that Mose Allison song, I'll have to check it out! Thanks for the flurry of kind comments, I'll be sure and check back here to listen further myself. Yes I will be making music this year! Thank you! Yeah, I make everything pretty much by myself, being the antisocial DIY-oriented "thing" that I am. I taught myself some saxophone by playing it live and recording it (I think I still have way under 100 hours of playing it in total), and I am happy that i can make exactly the kind of music that I want with it! Thanks for the encouraging comments Dutch! I've been struggling a bit with the process and have just tried to stay heads down to power through. Thanks for the comment on Sunny Day, Dutch. FAWM2019 is off to a great start. Hi Dutch. February at last! The chance to hear all you folks great new songs and an explosion of creativity. Happy fawming. Hi Dutch -- also glad to see you're back. Here's to another go! Hey Dutch, here I am. I've been enjoying "Getting There". Can't wait to see what you come with in the next month (and year).